← Who shot the dog??? 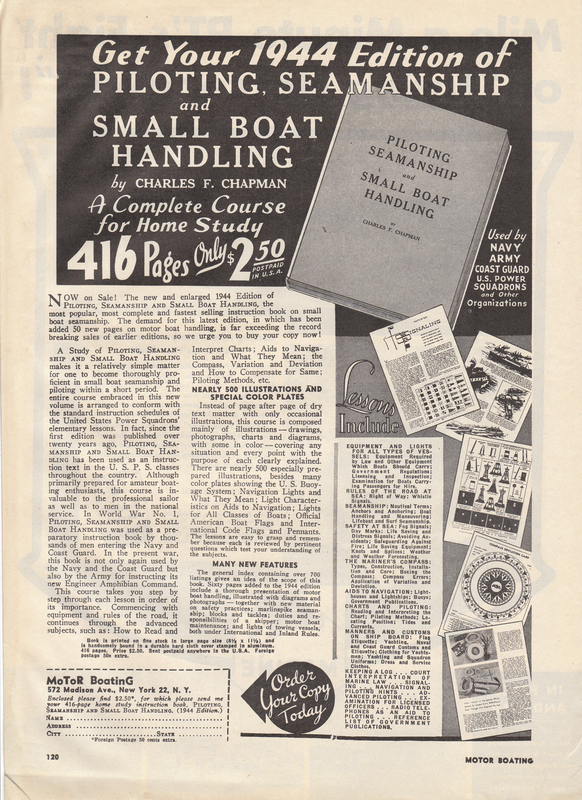 This entry was posted in boat, From the Archives, old things and tagged Chapman's, chapmans 1944, from the archives, piloting and small boat handling. Bookmark the permalink.